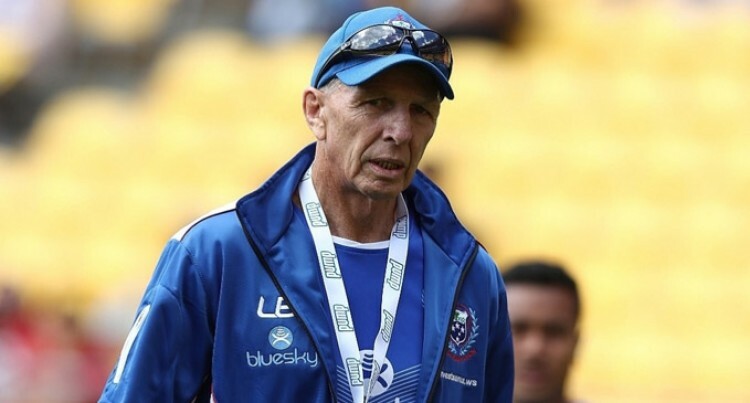 Samoa rugby 7s coach Sir Gordon Tietjens said selecting his final 12 member team for this weekend’s Rugby World Cup Sevens in San Francisco was really tough. Tietjens who coached New Zealand to win the 2013 tournament in Moscow, Russia has retained core of his squad that played in the World Sevens Series. He has recalled captain, Alatasi Tupou after completing his suspension for drink- driving. The 30 year old was discharged without conviction last month after pleading guilty to driving under the influence and without a licence. Tupou was stood down for the final two World Series tournaments and, alongside La’aloi Leilua and Murphy Paulo, will make his first appearance for the Manu 7s since April. Tietjens said 10 of the 14-man World Cup squad have been retained from the London and Paris legs, while Gordon Langkilde has is set to make his first appearance since the Commonwealth Games, after overcoming injury concerns. Tietjens said the selection process has been tough. Former captain Tila Mealoi, Lafaele Va’a, Elisapeta Alofipo, Samoa Toloa and Darren Kellet-Moore were not considered for selection because of injury. Samoa open their World Cup campaign against Uganda in the Championship Cup Qualifying Round. Manu Samoa Sevens squad: Alamanda Motuga, Gordon Langkilde, David Afamasaga, Tofatuimoana Solia, Va’afauese Apelu Maliko, Alatasi Tupou, Tomasi Alosio, Neria Fomai, La’aloi Leilua, Malu Falaniko, Joe Perez, Murphy Paulo, Belgium Tuatagaloa, Jonathan Timo Ah Sui.